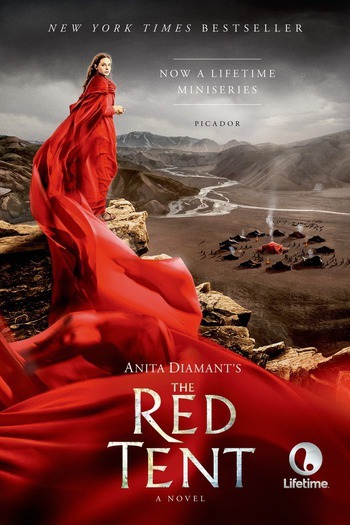 Listen to this audiobook excerpt from Anita Diamant's bestselling novel The Red Tent. Deeply affecting, The Red Tent combines rich storytelling with a valuable contribution to modern fiction: a new perspective on female life in biblical society. It is a vast and stirring work--what the Bible might have been had it been written by God's daughters instead of sons. Anita Diamant is the author of the novels Good Harbor, The Last Days of Dogtown and Day After Night, a collection of essays, Pitching My Tent, as well as six books about contemporary Jewish life, including The New Jewish Wedding and Choosing a Jewish Life: A Guidebook for People Converting to Judaism. Diamant grew up in Newark, New Jersey, and Denver, Colorado. She has a bachelor's degree from Washington University in St. Louis and a master's in English from the State University of New York at Binghamton. She lives in Massachusetts with her husband.